From large supermarket chains to local independent stores, today’s grocers need engaging digital solutions to capture the attention of digitally savvy consumers. Our Unified Commerce Solution for Grocery enables food merchants to launch immersive, intuitive digital experiences more quickly and less expensively than ever before. Faster time to market by 6 to 8 weeks. The timeline savings is a result of leveraging templated assets for design, software development and testing. Reduced cost by $250,000 to $300,000. Significant cost savings are achieved by using the solution’s design and code assets, along with a reduction in testing efforts. Modify previously placed orders before delivery is confirmed. Sort, search and filter products based on previous orders. Easily manage customer preferences by adding and saving favorite grocery items to a customer’s profile for quick re-ordering. Shop specific location inventories with a real-time look into product selection, pricing and delivery times. Streamline and personalize email marketing campaign deployment with Salesforce Marketing Cloud. In addition, the Salesforce Service Cloud component offers a wealth of customer insights to its users by enabling customer service agents to provide differentiated offers to loyal customers, thanks to increased visibility into customer data. 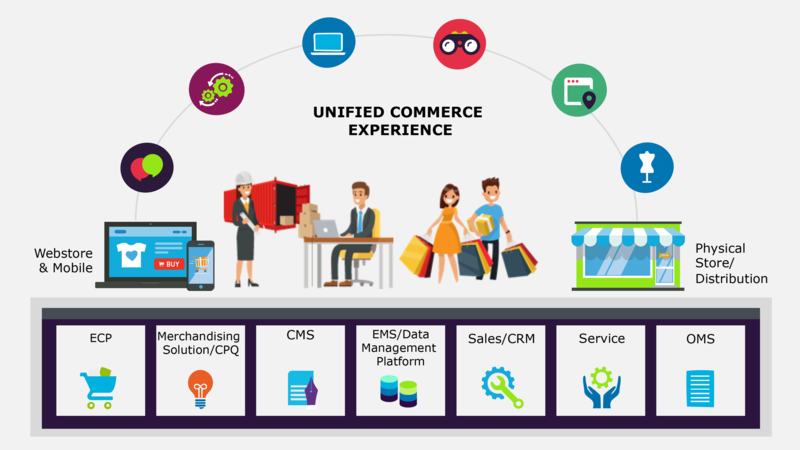 Click here to connect with our Unified Commerce Solutions team to find out more.